Home / Belief / HOW DO YOU DEFINE SUCCESS? HOW DOES ISLAM DEFINE SUCCESS? HOW DO YOU DEFINE SUCCESS? 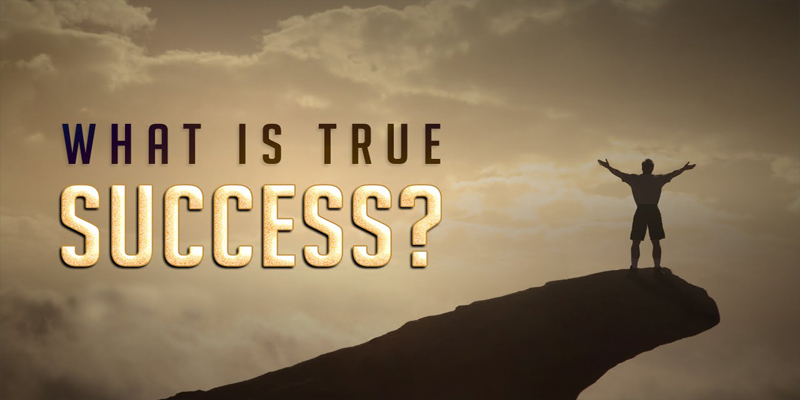 HOW DOES ISLAM DEFINE SUCCESS? The whole world and its comforts which we term signs of “success” were created as mere tools for pursuing true success. The only one who has a right to define true success is Allah, our creator. THEN WHY ALL THESE COMFORTS? On a different note, Allah has put a special mercy in the hearts of our parents, which makes them give their children the best food while they themselves happily go hungry. They install in their child’s room an air conditioner, while they sleep in the heat. They give their children every comfort they can afford, according to their means, so that they can study well and achieve worldly success. Now imagine what the parents would feel if their child became so comfortable with these luxuries that he doesn’t feel like studying anymore. He uses the computer to play games. He watches movies all day while enjoying his air conditioner and cool drinks from his refrigerator, thinking that if this comfort will last forever, why study? In fact, what he has done is what you and I do every day– he imagines that the tools to success are success in themselves. Allah has given us comfort on this earth so that we can have the time and energy to do our real work– obeying Allah and His Messenger and establishing tawheed on this earth. We imagine that all this comfort will last forever, and thus we forget our ultimate goal– success in the Hereafter.